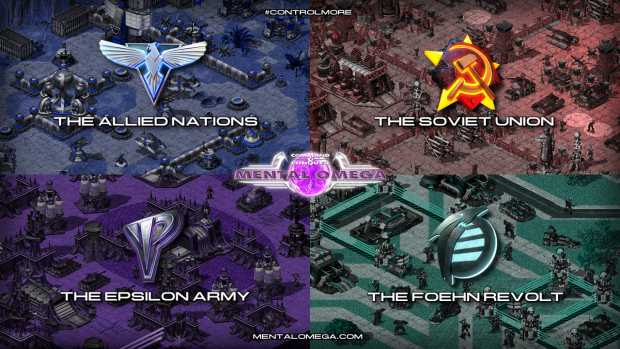 Mental Omega is a free unofficial expansion pack for Command & Conquer Red Alert 2 Yuri's Revenge. It started off as a balance modification created by Speeder and Mevitar and first released in 2005. After a few years, it had grown into an unofficial sequel with new campaigns for the Allies, Soviets, and Yuri. Version 3.3 marks the end of the long road and the final release in the Mental Omega series. Enhanced with the powerful Ares Expansion DLL, Mental Omega 3.3 introduces an entirely new faction to the play: the powerful and technologically advanced Foehn Revolt, as well as continues to bring new features to C&C Red Alert 2 Yuri’s Revenge while maintaining a strong sense of gameplay balance. Among many consequences of the events that took place during the Act One of the Mental Omega campaign is Yuri's rise to power. However, his increasing strength alerted some, who were forced to form an unexpected alliance and make difficult decisions. The actions of those people will result in the creation of a highly advanced army called the Foehn Revolt. This new faction is an important part of the new Mental Omega release and comes with its own full set of three subfactions, each of them with their preferred technologies, tactics and weapons as well as unique heroes and special units. The Foehn Revolt relies on technologies and tactics not seen before during the Great War, many of which were possible to do thanks to the new features added by Ares Expansion DLL. Head to the Factions section for more details. 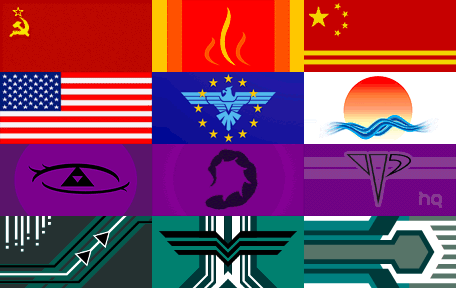 Each of sides, the Allies, the Soviets, Yuri's Epsilon and Foehn, is split into three subfactions with their own unique set of new units and a hero to support them. Head to the Factions section for more details. Mental Omega 3.3 will continue where the first Red Alert left off and branch out into an expanded universe with over 80 missions for all factions, including Yuri and the Foehn Revolt. The campaign is split into two Acts which relate to two different stages of the war: the Soviet invasion of the United States and the battle against Yuri. Read more about the many missions of Mental Omega in the Campaign section. New singleplayer missions is not all there is. With Mental Omega 3.3 comes a set of new online cooperative missions for 2 players. The Campaign section includes info on cooperative maps as well. A brand new challenge mode will put you, and possibly your ally, in an unusual scenario where the enemy team receives a set of unique boosts and bonuses, which give them a huge advantage. The classic skirmish is not forgotten. With the addition of ~500 new maps, ranging from 2 to 8 players, and a variety of new game modes, there's still a lot to do when you finish the campaigns. 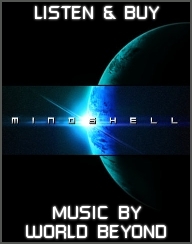 Thanks to several talented musicians, a new soundtrack has been compiled to accompany Mental Omega 3.3. Head to the Soundtrack section to read more about new music and preview some tracks. Every in-game unit has new, high quality artwork. Each new unit has its unique voiceover set. Updates have been made to enhance the aesthetics of the game. The game can be played in high resolutions without additional hacks, making it compatible with 16:9 options on HD monitors, and will work on newer operating systems including Windows 8 and Windows 10, thanks to Ares Expansion DLL. Mental Omega is supported by CnCNet which allows you to play the mod online without having to register an account. Version 3.3 of the mod is entirely based on a new CnCNet5-compatible client which improves the multiplayer performance even further and adds more match customization options. 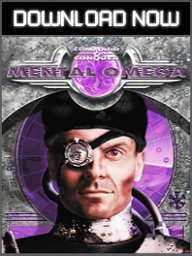 With the new updater system we intend to release updates for Mental Omega 3.3 with bugfixes and new content. We will look forward to feedback and bug reports from the players as we continue to enhance the mod even further and release additional maps, missions & units. Follow MentalOmega.com and our profiles on the following websites for latest news.